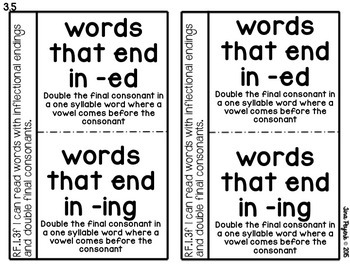 Are you looking for a way to include variant vowel diphthong /oo/- spelled oo and u, inflectional endings where you double the final consonant and interactive notebook skills all in one spot? 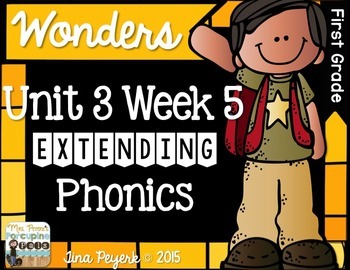 If you are using the McGraw-Hill Reading Wonders ® program for FIRST grade, then you found it! 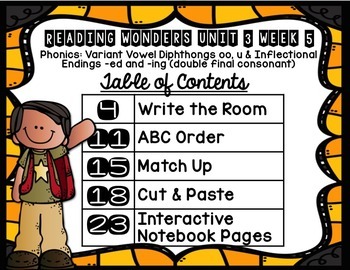 This packet is a supplement for McGraw-Hill Reading Wonders® Unit 3, Lesson 5 for first grade. 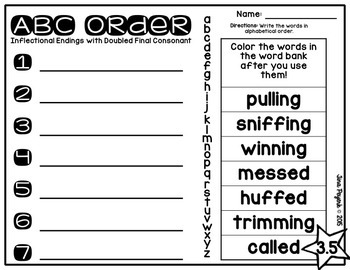 Included in this packet are 11 engaging activities: Write-the-Room for diphthong and inflectional endings with recording sheet, ABC order for both skills and a challenge ABC order with a digraph review, Match Up partner activities for both skills, Cut-and-Paste activities for both skills and interactive notebook pieces for each skill, including an ‘I-Can’ statement. I have also included some tips at the beginning of each section. There is a table of contents at the front to help you find the specifics topics you are looking for, too. If you have any questions, please don’t hesitate to contact me on the TpT forum. You can also visit my blog @ Porcupine Pals Blog. Until again, I wish you well!